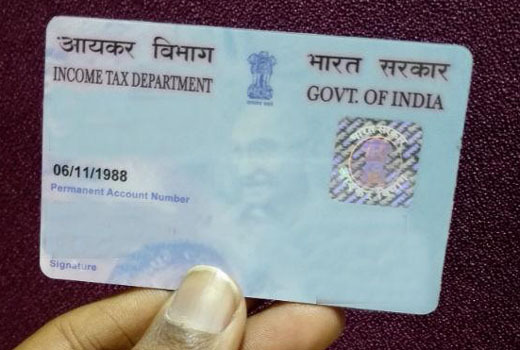 New Delhi, Mar 28, 2019 : The Income Tax Department has been advertising linking Aadhaar to PAN by 31 March 2019 for quite some time now. The previous deadline of 30 June 2018 was extended for a good 9 months period for residents to make any changes to the details in the PAN and Aadhaar that may be mismatched and link the two, Yahoonews reported. The IT department’s recent tweet said, "Link your AADHAAR with PAN today to enjoy seamless Income Tax services online." You are a resident in India (as per Aadhaar Act and Income Tax Act) if you have resided in India for at least 182 days in the year that is taken into account for such calculation. Further, if you are a resident, you are eligible to get an Aadhaar number and if you are eligible, you are required by law to link it to a PAN that you could be holding. This means that if one fails to link Aadhaar with their PAN, the former will cease to be valid, like one never had a PAN. According to the FAQ section on UIDAI’s official website, "only a resident individual is entitled to obtain Aadhaar......Accordingly, the requirement to quote Aadhaar as per section 139AA of the Income-tax Act shall not apply to an individual who is not a resident as per the Aadhaar Act, 2016. Moreover, Filing details of the Aadhaar number while submitting Income Tax returns from July 2017 does not apply to NRIs."